Milton Davis is a lifelong resident of Cass Avenue. He’s watched many homes on the street deteriorate and get torn down after the Great Recession and foreclosure crisis. In 2016, he decided he wanted to do something about it. He purchased 3713 Cass Avenue from the Hamilton County Landbank and began to rehab it in his free time while working his full time job. When Davis bought 3713 Cass from the Landbank, one of the walls of the house was falling down and the roof was open to the weather. Today, a family lives in the 2,500 square foot house built in 1911. 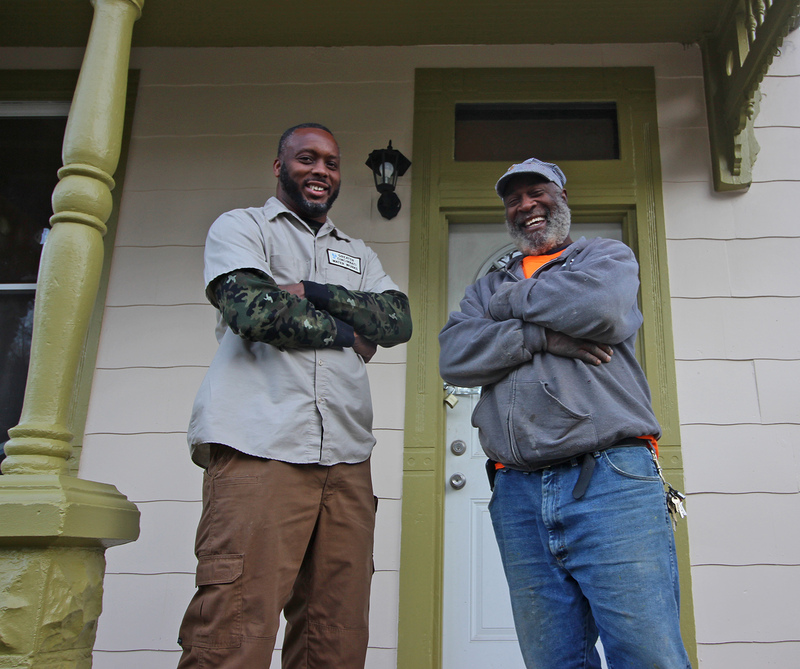 Davis and his friend and neighbor of 20 years, Terry Lowery, worked together to rehab 3713 Cass. Lowery also bought a house on Cass. He’s been rehabbing it while living in it. He plans to stay in the home once he’s finished with the rehab. The two have teamed up again to rehab 3720 Cass, another property Davis purchased from the Landbank. Built in 1905, the home was abandoned for nearly 20 years. Davis closed on the property in April and started interior demolition work in July 2018. He expects to have the house ready to rent by the end of the year. He’s interested in rehabbing more Landbank properties if he can make the financing work. Both homes that Davis bought required a total gut and restoration. Davis and Lowery are adding a bathroom to the master suite in 3720 Cass and the kitchen will feature all new appliances. The house has an adjacent patio and backyard.